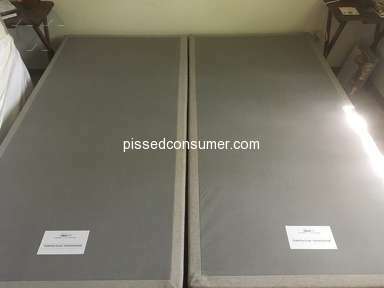 Next review TempurPedic Nightmare: Worst mattress I have experienced. Dear Steven, I am writing you to let you know of some serious issues going with your business. 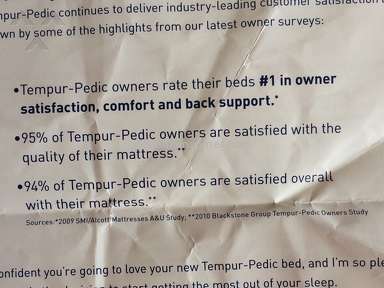 I purchased a TempurPedic mattress in 2008 when my husband and I were stationed in Washington State. Related: TempurPedic Nightmare: Worst mattress I have experienced. My husband is an active duty military member. We originally loved the mattress. Sadly several years ago it started sagging. We were overseas and unable to make a claim. Now that we are stationed back in the United States, we made the claim online to get our mattress replace, since it was still under warranty. I filed the claim online with my current and up to date address and phone number. 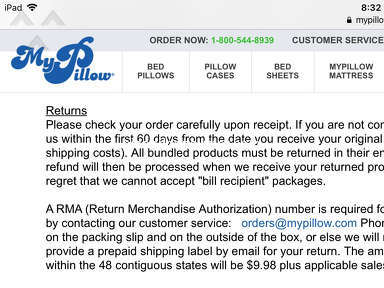 I was contacted by a third party delivery service with a date and estimated time for my mattress. I cleared the day, so as to be home for the delivery of the mattress. We received a call from the delivery company stating they were at an address, but we were not. Unfortunately, your company did not pass along the correct address to the delivery company and our mattress was delivered to an address we have not resided at since February 2011. This was unacceptable, and I immediately called your customer service phone number. Getting a hold of a supervisor is nearly impossible. I was outraged that your company did this. I requested that your company find a mattress locally at an authorized store and have it delivered from there. This apparently, was not possible. I now had to wait for the mattress to be returned, re entered into the system, and re ordered to the correct address. Once that occurred, I was contacted via e mail by another third party delivery service. I was e mailed because the phone number they were given, was disconnected. I am glad I did not change my e mail, because the phone number was yet again, the phone I had prior to leaving the country in February 2011. You would think after the first issue, that the correct information would be passed along. No such luck. I was promised by a supervisor named Alex, that my mattress order/deliver would be expedited. The delivery company told me the soonest I would have the mattress would be approximately 7 days. This is not expedited in my opinion at all. 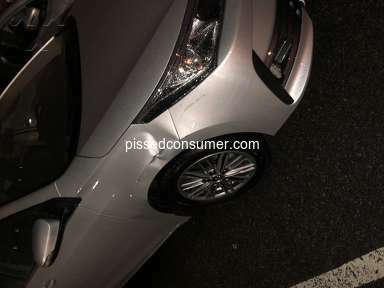 I again tried to contact another supervisor to assist me in getting this matter resolved. The only thing I was offered was a free set of sheets and a mattress cover. While this is appreciated, it does not fix the problem. 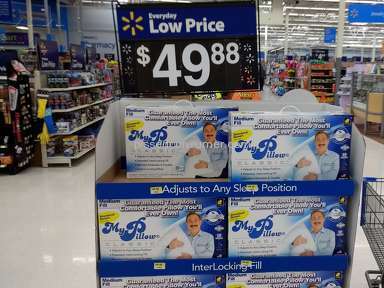 The sheet set itself is a low thread count as it is, and not worth the price charged to customers as it is. I later received a call from the delivery company stating the mattress was delivered earlier than they expected and that I would receive my mattress on November 20th. This morning (November 20th) I tracked my order and it showed on the delivery companies system that my bed was out for delivery. I called and spoke to 3 people to try to get a better time frame of delivery. All 3 people told me that it was on the truck and out for delivery. 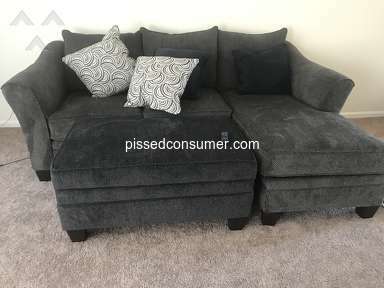 About 15 minutes later I got an e mail from the delivery company, a woman named Evelyn stated the mattress didn’t make it on the truck and the bed would be delivered the 22nd. This was all done via e mail, and no question as to if I would be available on the 22nd for delivery. I immediately called Evelyn and requested to speak to her manager, who told me the same thing. I then was able to speak to another manager located in Indiana and found out that my mattress was not on the truck for a reason. The driver did not have access to the military base in which I live, and that is the reason for not delivering my mattress. I am not okay with being lied to, nor having my delivery pushed out yet again because they don’t hire people with the background to get onto this military installation. The only real reason someone would be denied access to a military installation is due to a felony conviction. I suppose I should be glad to be on a base, and not the poor unsuspecting customers that these potential felons are delivering into homes of the average person. I told the supervisor this was unacceptable and I wanted my mattress delivered today no matter what they needed to do. I was told they had a “team” to deliver my mattress. I then received a call from the delivery driver, asking if anyone was at my house to help him deliver my mattress because he is by himself. I do not understand in any way shape or form how this is your so called “white glove delivery” service. I am astounded at the inadequacy of your company and how this entire matter has been handled. I cannot get a hold of anyone in your company that can properly help me, or cares about customer service. I am disappointed that my $3,000.00 mattress has not held up and then my warranty claim has been such a hassle. After the single delivery driver decided not to do the delivery, my claim was transferred to another delivery service whose operations are out of Pennsylvania. 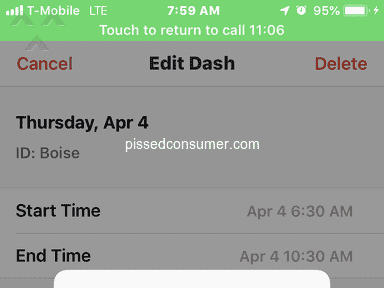 I received a call in the evening of November 20th stating they would be able to pick up and deliver the mattress the same day, as they were a 24/7 company. They called the first delivery service to set it up, but my mattress is locked in the warehouse and this second company is unable to pick up my mattress. It is now the morning of November 21st and I still have yet to receive my mattress. I am not sure how you run a company this way. I have tried numerous times to get a hold of someone on the corporate level, to no avail. I have been blocked from messaging and commenting on the Tempur-Pedic USA Facebook page, since that was one of my only ways to get anyone to talk to me. I am reaching out to you, the CEO of the company, for assistance in this matter. I am appalled this is occurring. I have asked numerous supervisors to just call a local authorized Tempurpedic mattress distributor locally to have my mattress delivered via their business. This request was denied. I know there are ways around this, and someone needs to do something to rectify this matter. Review #1134976 is a subjective opinion of PissedConsumer1134976.